Hatte alles, was ich brauchte und der Besitzer ist super lieb und hilfsbereit! Top Lage, Top Preis, Top Erlebnis! 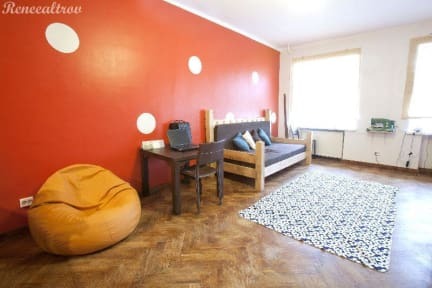 Really cozy hostel with lots of common space and a big kitchen. Would stay here again! Right in the middle of old town! Amazing atmosphere, feels like you are at a friends place! Super-clean bathrooms and you can borrow a towel for free. Staff is extremely welcoming and helpful. Beddings were fluffy and warm, which is important at this time of the year. Ein sehr angenehmes, gemütliches und gut ausgestattetes Hostel. Das Personal ist sehr nett, bemüht und sehr hilfsbereit. Eine Top-Adresse! Best money-value-balance, centrally located, nice interior and very friendly staff! We had a really great stay in the hostel! The location is just perfect, in the city centre and close to the bus station. 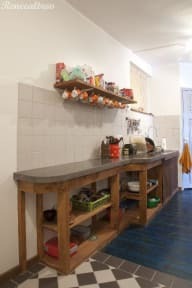 The kitchen is equipped very well and in the common room you can feel home - we enjoyed it very much. It is a very clean hostel and the beds are comfortable. Maybe there could be more toilets. However, I definitely recommend the hostel and would love to come back! Hostel central in old town, nice open common area, beautiful bathrooms. Staff was ok. I could not find any familiar atmosphere of which I have read in so many reviews.